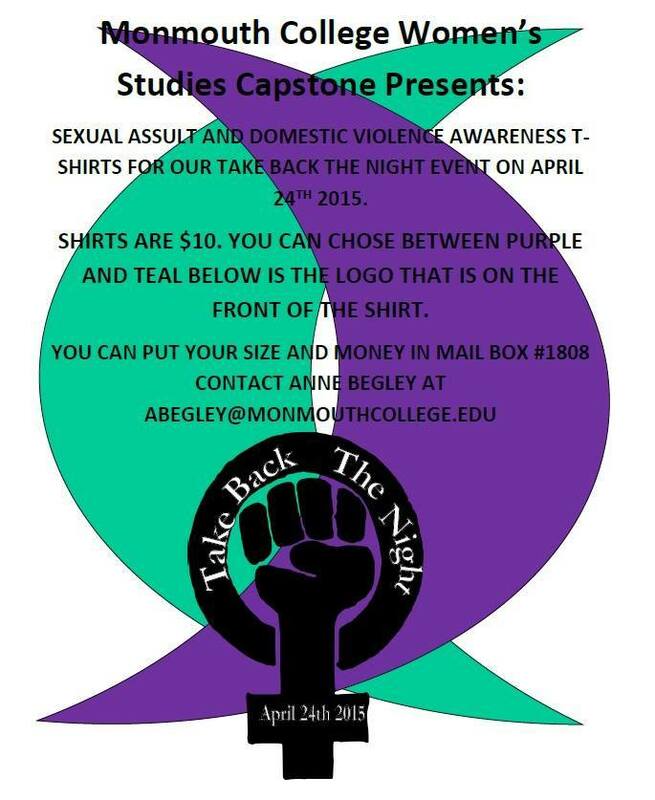 Last year, 2014, Trudi's Women's Studies Capstone course decided to take a stance and educate the Monmouth community on sexual assault and sexual violence. In order to do so, they created a variety of events leading up to their informative Rally. First, they had people sign their pledge, a bill of rights they created that provided information regarding sexual assault and sexual violence. 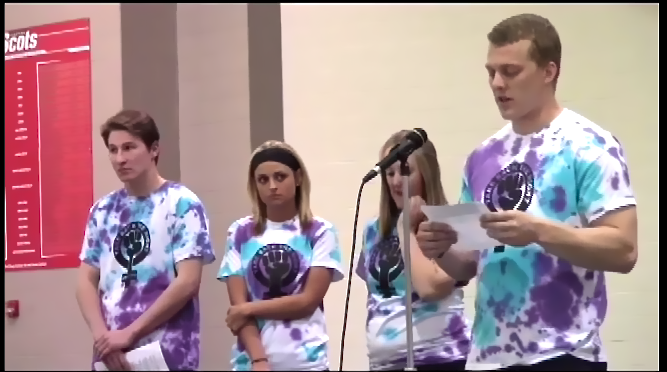 On April 22nd in Dunlap Terrance they had a Troubling Violence Performance Project monologue, which was a live performance showing people what domestic violence is. 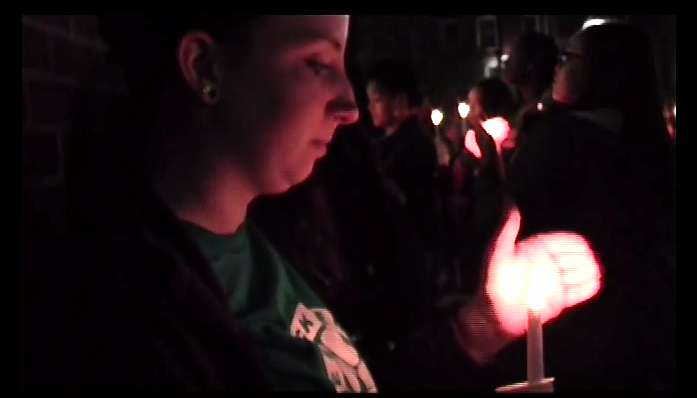 Finally, they ended things with their Take Back the Night Rally on April 24th in the Huff Athletic Center. In this event they had a variety of performances ranging from Colorful Voices of Praise, the Sassy Lassies, Aimee Miller from Scots Speak, and many more. 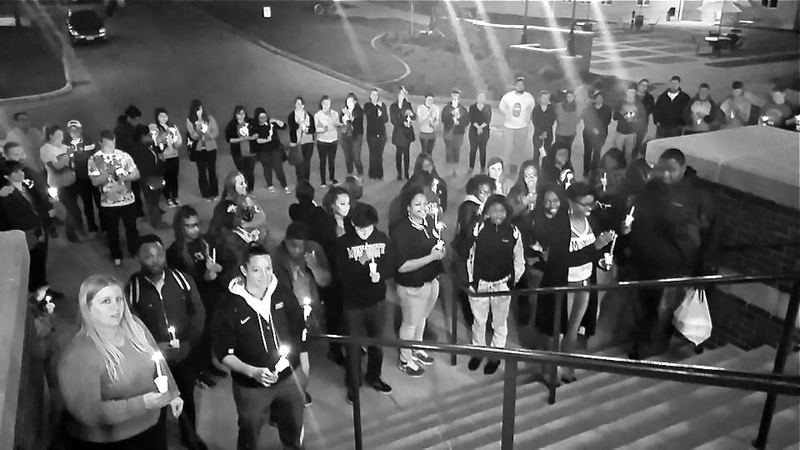 They ended the night with a candlelight vigil, outside the Huff. It was a really emotional and educational event. 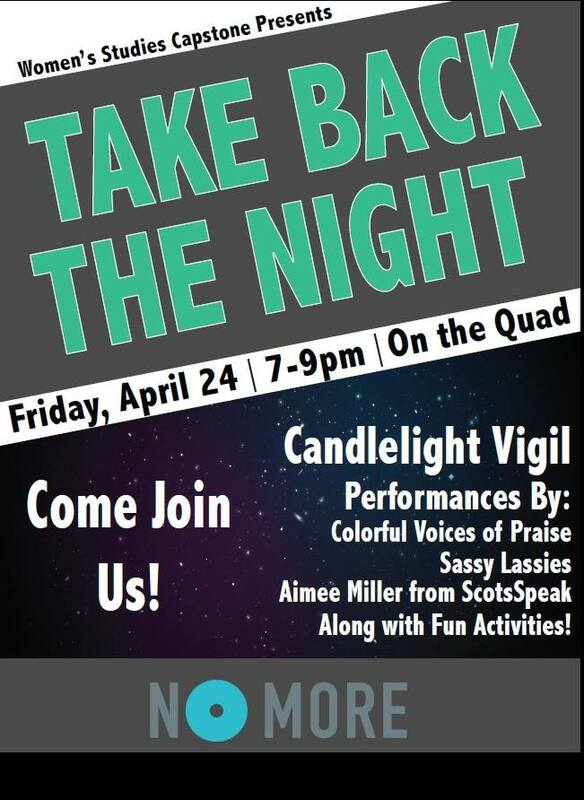 Take Back the Night is a worldwide event created to raise awareness of sexual assault and sexual violence. Students, from left to right, Alistair Ramsay, Dominique Shepler, Anne Begley, and Branson Cain speak about the event. Trudi Shares a story of a sexual assault survivor. 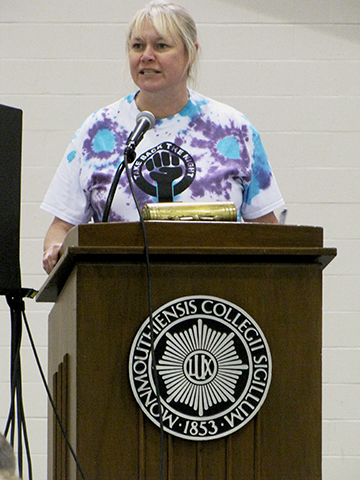 Students, faculty, staff, and community members really showed supported the event. Students supporting the candle light vigil. 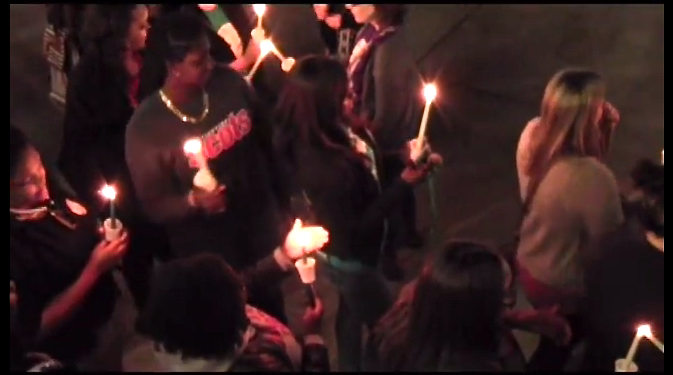 Senior, Jayme Homer, participating in the candle light vigil. Senior Erin Schuch and alumni Justin Fry sign the Monmouth College Bill of Rights at the Rally. 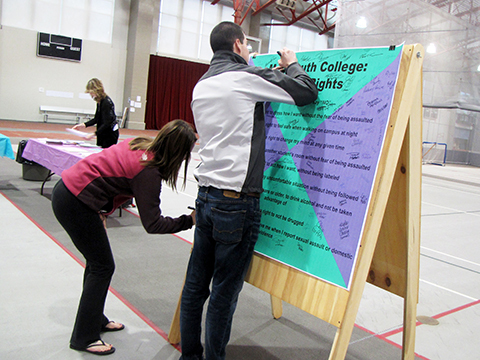 By signing they are both pledging their responsibility to help prevent sexual assault on Monmouth College. Students t-shirt for the event. Interview with students regarding the event. Anne gives her perspective of the event.